Established in 1985, Internet Videocommunications has earned an international reputation for delivering world class Audio-Visual, Video conferencing and Telepresence systems and services. For over 30 years, our award-winning company has received numerous accolades for exceeding standards of excellence. It is our emphasis on service quality, our attention to detail and our total commitment to our clients that has led Internet Videocommunications to enjoy long-term relationships with many hundreds of businesses across the public and private sectors. Working out of two offices in the UK, we have provided Audio-Visual, Video conferencing and Telepresence solutions in over 35 countries to date. Led by a management team with an average of over 20 years working for Internet Videocommunications, the company offers unrivalled experience and expertise. And, having forged strong alliances with all the leading manufacturers, we are truly independent. We pride ourselves on being at the very forefront of the Audio-Visual and Telecommunications industry. Our mission statement is to deliver best of breed Audio-Visual and Unified Communications solutions and we recognise that, in order to achieve this, we need to invest in best in class staff. All our teams undertake rigorous, ongoing training courses and external examinations to maintain industry knowledge and skill-sets that are second to none. Liaise with the client on site, to determine their business needs and understand their immediate and future requirements. Conduct room and / or site surveys to obtain a clear understanding of the client’s environment, building structure and network infrastructure, in order to provide the most accurate solution for their facility. Provision of architectural drawings in 2D and / or 3D (as required) to allow the client to clearly visualise the proposed solution within their facility. Providing professional, impartial guidance and expertise for the client to ensure the correct and most cost effective solution is being considered for the final implementation. Network infrastructure consultancy to ensure smooth and secure transition of data and connectivity to the entire business. Full Audio visual and video conferencing design with schematics (flows), illustrating connectivity of all components, cables and signal paths. Design and manufacture of all bespoke hardware, for unique implementation at the client’s facility. Network infrastructure design and implementation to ensure that all connected equipment is performing. Design and construction of system racks both on-site and off-site. Design of AV into existing or new bespoke furniture, to ensure systems have the correct spacing, cable access and ventilation so solutions remain robust and operational for very long periods. Room design is provided as part of the solution to ensure the best colours, material and lighting are implemented to ensure both aesthetical and functional requirements have been addressed and deployed. Full management of the project through its life cycle to completion, by Prince II trained Project Managers. Providing a single communication interface between the client, site contractors and others in the project team to ensure the business needs are always at the forefront of the implemented solution. Control of all aspects and stages of the project, including design, installation, commissioning down to the smallest detail. Change control and full documentation including Operation and Maintenance Manuals, provided upon completion of the project. Training guides are issued as standard for all support along with user guide laminates, constructed and supplied as a quick guide and left in meeting rooms. Electronic training guides are also supplied for the client to tailor-make them and adjust as they see fit. Hands on user training is also provided at various levels to accommodate management, PA / Admin, support and Super-user staff. Training programmes can be tailor-made to suit the clients’ needs and additional refresher training can also be scheduled to ensure all staff are getting the most from their facility. 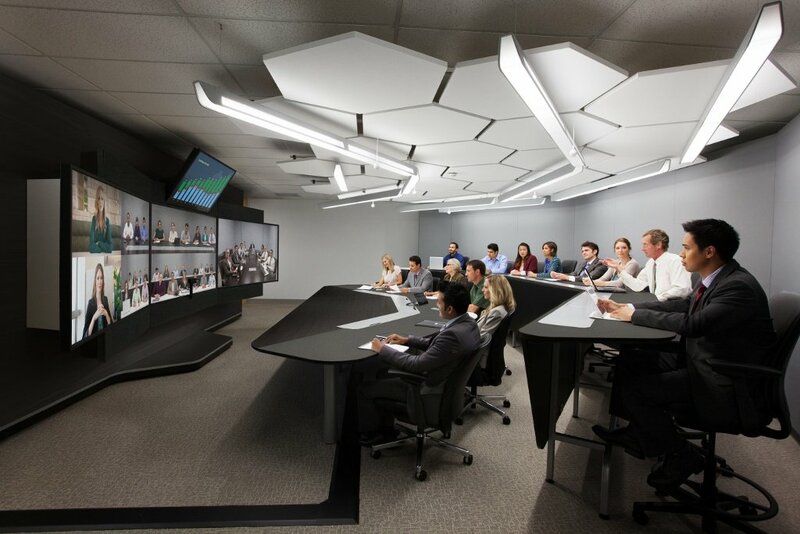 All CTS trained engineers will implement the full Audio visual and Video conference solution at the client’s location. Delivery and control of all equipment being stored or installed on site. All of our engineers are professionally trained in all aspects of the installation and carry all the required accreditations to carry out high level installations and integration throughout the UK, Europe and Worldwide. Ensuring the AV solution doesn’t take over the provided space but works in harmony with the client furnishings. Flexibility during the installation to accommodate minor client changes with minimal fuss. Custom coded software for user room control and functionality. Customised touch panel GUI design and coding to tailor-make the look and feel to the clients requirements. In house testing and debugging so that systems are delivered with minimal snags or issues on site. 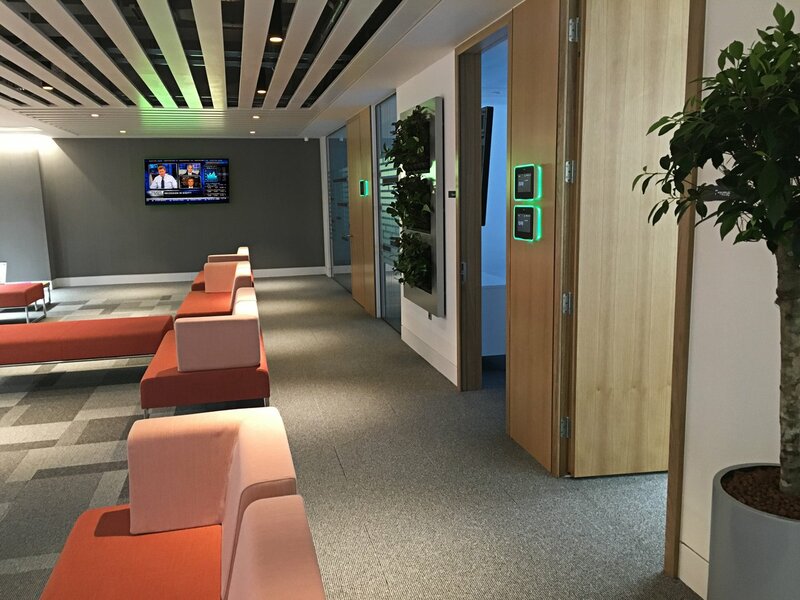 This minimises the commissioning and testing period at the client’s location, which ultimately minimises installation time, so meeting rooms and areas can be handed back to the client for use. Integration of the supplied Audio visual solution with other 3rd party supplied equipment. Including 24/7, 365 days a year. Fully managed cost effective collaboration. Seamlessly integrate any software or device. Technical and administrative support provided by our experienced operators. Reliable, scalable and quick to set up. Our aim is to understand your organisation the way you do. We will provide you with independent advice, the broadest range of industry expertise and a hands-on demonstration of how you can transform the way you and your colleagues work together. Whether you are looking to move into new offices, refresh your existing conference facilities or improve your internal and external video communications, we will design a solution that is tailor-made to address your organisations’ business needs. With ever increasing and evolving ways to communicate and present information, it is not surprising that many organisations find it hugely difficult to establish conference facilities that are versatile yet simple enough to use intuitively, or to deploy an easy and effective way to meet face-to-face with colleagues and third parties. As a beta-test partner for a number of the leading manufacturers, Internet Videocommunications is in a unique position to offer clear guidance on system interoperability and to design and deploy solutions which are truly plug and play, allowing organisations to focus on the important matters of their business. Internet Videocommunications have consistently topped the charts with regards to quality of work. Their attention to detail is excellent as is their commitment and responsiveness. In my 30 years working in IT they rank as the best third party I have ever engaged with. The quality of the work delivered was exceptional. Excellent from top to bottom.